The ‘holy grail’ - both vegan & gluten free! You can do so many things with the Tandoori ‘mash-up’ it truly is an interactive food! 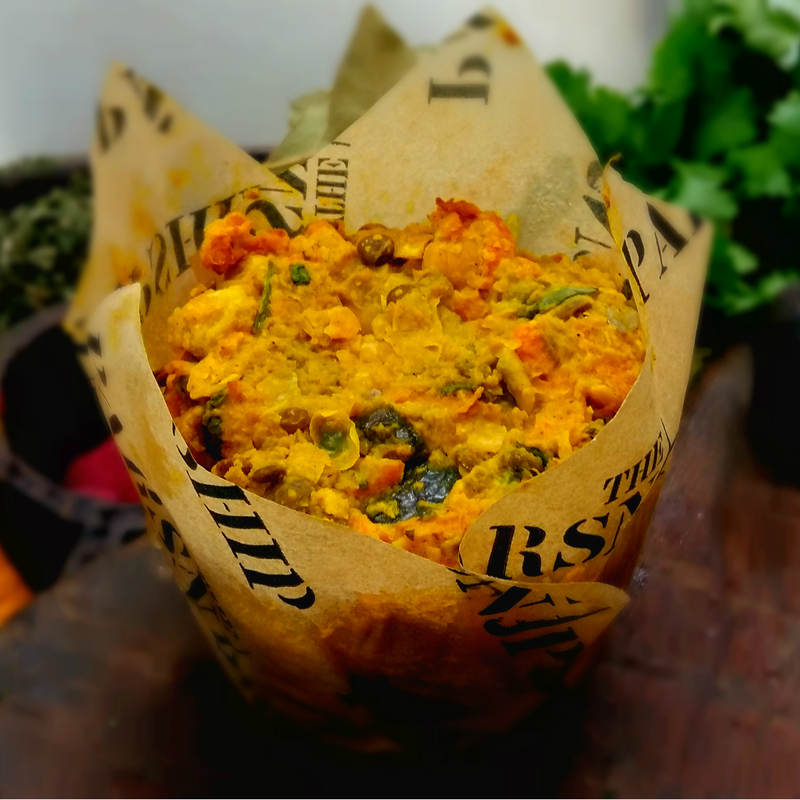 Stir-fry it with your favourite veg & grains….form burgers and pan-fry with a mango jus….use it as a wonderful hot or cold pâté with a hunk of bread or even add to a couple of cups of water or coconut milk to make a thrilling soup! Always good with lashings of lime! Bake for 15-20 mins at 180°C or Pan-fry gently for a few minutes on each side. The maker has taken all reasonable steps to ensure that this information is accurate. However, the maker cannot guarantee that the product is '100% free from' that component because of the risk of unexpected cross-contamination.